Even minimal-risk tasks can damage your clothes, particularly if you work with liquids. The Elasticated Cotton 13" SL-Cotton-EL Sleeves are ideal for protecting your arms from splashes. The protective clothing is elasticated on both ends for a more secure fit. These sleeves are designated Category I sleeves, meaning they should be suitable for most minimal-risk tasks. This makes them ideal for environments where other hazards are not present. 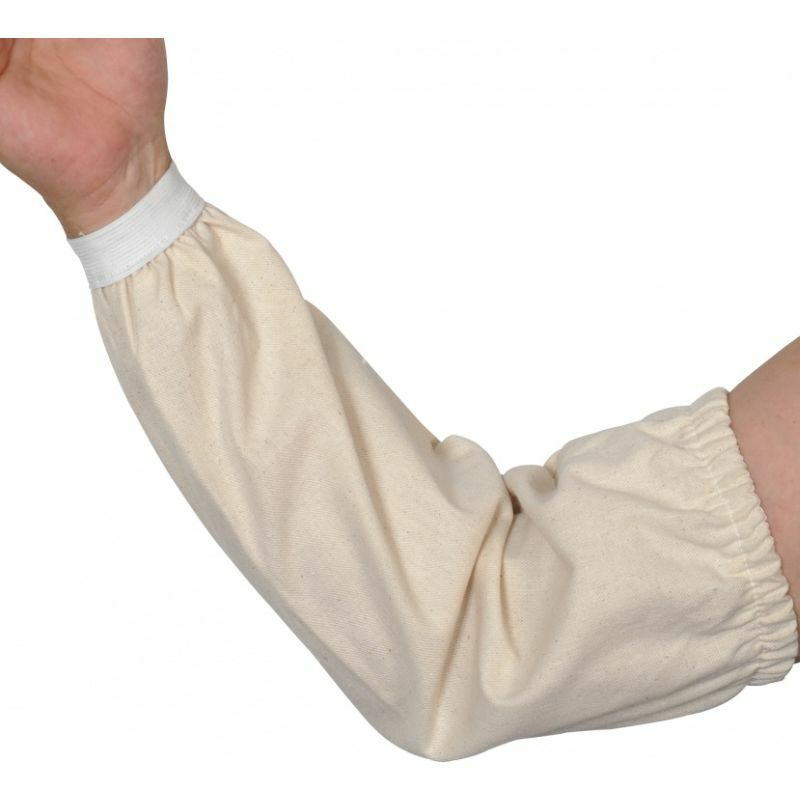 The Elasticated Cotton Sleeves are available in one size to fit most users. As the sleeves are elasticated on both ends, they should adjust to suit your arms.